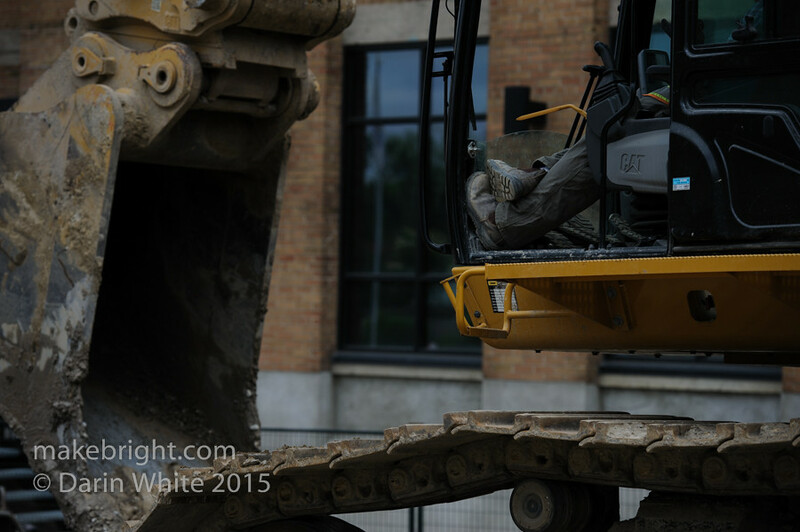 As I was marveling at what must be the biggest excavator that could possibly fit on Charles Street, I saw the operator’s boots. He was chillin’, waiting for the guys down in the hole to do their thing. The juxtaposition (and I rarely use that word) of the relaxed feet with the awesome power of the machine was very compelling. There are images I cannot not shoot. This is one of them. Again, at Charles and Gaukel, this is Kitchener. This entry was posted in community and tagged construction, Kitchener. Bookmark the permalink.